Book | Home: Free Sociology! Vancouver’s Transformation: from Phoenix to Montreal in under 60! I can never quite get over just how dramatically the residential stock of Vancouver has transformed away from its former dominance by single-family detached houses. As recently as 1961, proportionately more of Vancouver’s households* lived in detached houses than in Phoenix, Arizona today (well-known for its inescapable sprawl). Less than sixty years later, Vancouver has now toppled both New York and Montreal as the least house-dominated metropolis in North America! That’s a dramatic transformation! Above I’ve updated an older figure of mine that made its way into my (award-winning!) 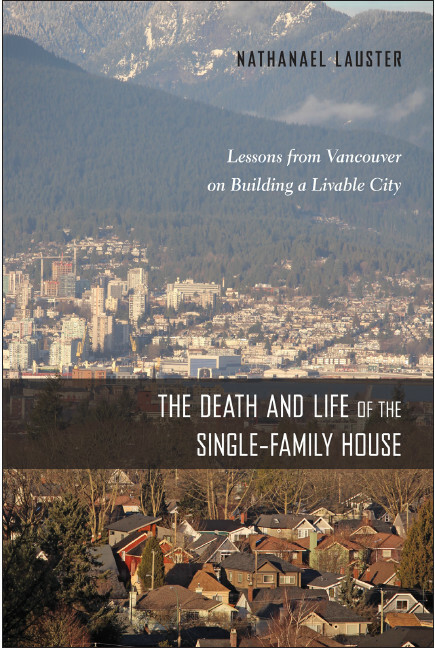 book with the newest census data from 2016, when Vancouver definitively displaced Montreal as the least house-dominated metropolis in North America. What’s led to and resulted from this dramatic change in Vancouver’s housing stock? That’s all in the book! *-UPDATE: I’ve corrected an earlier version of this post where I misleadingly used the word “residents” instead of “households” to refer to the data. The data is for households. Proportionately somewhat more residents live in houses than households, because average household size is larger for those living in houses (Sept 18, 2017). In my book I suggest that houses make poor habitat for democracy. The big argument here, I think, is that houses tend to prioritize control over private space. In so doing they generally encourage detachment from public life. Houses suggest we can cut ourselves and our families off from those around us rather than investing in ways of figuring out how to live together. The “single-family detached” house reifies the notion that the only ties that matter are those of kinship, cutting off our obligations to the broader social world. As I describe in my book, and as further detailed in the work of historians like Frykman & Löfgren (see their excellent book Culture Builders) and John Gillis, this was a strategic move on the part of a rising urban middle-class in the late 19th and early 20th centuries. Housing was meant to serve as both a stage for demonstrating moral worth and a sanctuary from the moral claims of others (the latter rendered obsolete by the extension of market governance). In a broader sense, most houses are surrounded by other houses. That’s a legacy of zoning, of course. But it tends to insure that even when residents leave their housing, they don’t have many public places to go, and to the extent they bump into anyone, their encounters tend to be with people much like themselves. * As described by a variety of political theorists (from Susan Bickford to Thad Williamson to the wonderful Iris Marion Young), who we regularly run into influences who we think we need to take into account in our politics. In much the same way that getting our news through social media tends to provide us only a very partial picture of the world, surrounding ourselves with similar people does much the same, and tends to lead us toward intolerance of difference. Housing data come from Census (American Fact Finder) 2010-2014 ACS 5-year estimates. Vote data comes from USelectionatlas.org (thanks Dave Leip), and of course is subject to change – especially as recounts get under way! And yes, the correlation is still quite strong if you remove Washington DC (r=0.74) or drop mobile homes (r=0.76), bivariate analyses I’ve already tried (all are defensible variations on the theme). I haven’t run the analyses yet, but at the county level, you’d likely get similar results, if not stronger. More urbanized counties voted heavily for Clinton, as you can see mapped out here (and let’s not forget that she won the popular vote). *-that said, suburbs are getting more diverse! See, for example, Christopher Niedt’s book.